Enjoy delicious low-calorie meals that can help you lose weight, become heart-healthy, and lower your risk of major diseases. 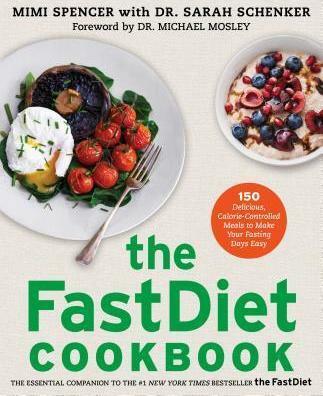 the FastDiet became an instant international bestseller with a powerful life-changing message: it's possible to lose weight and reduce your risk of diabetes, cardiovascular disease, and cancer, all while eating what you would normally eat five days a week. You simply cut your caloric intake two days a week to 500 calories for women, 600 for men. Now, the FastDiet Cookbook offers 150 nutritious, low-calorie recipes, ranging from simple breakfasts to leisurely suppers, enabling you to incorporate the FastDiet into your daily life. With this indispensable companion book, you will never have to worry about planning your fast days again!